At our state-of-the-art facilities, automated test equipment performs pressure and temperature cycling on 100% of the PX409 transducers. 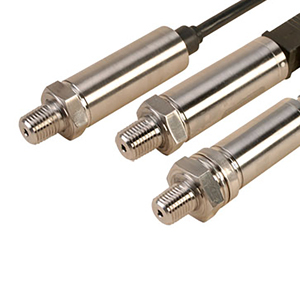 The transducers are then calibrated using extremely high accuracy equipment and a 5-point NIST traceable calibration certificate is included with each transducer. The inherent stability of the piezoresistive core provides excellent long term stability, repeatability and very low thermal effects at the price of much lower performance transducers. Standard features of the PX409 Series also include protective features built into the electronics and the pressure element. Reverse polarity, EMC, and power supply fluctuation protection are standard on all models. For Intrinsically Safe and CSA ratings see model PX529.